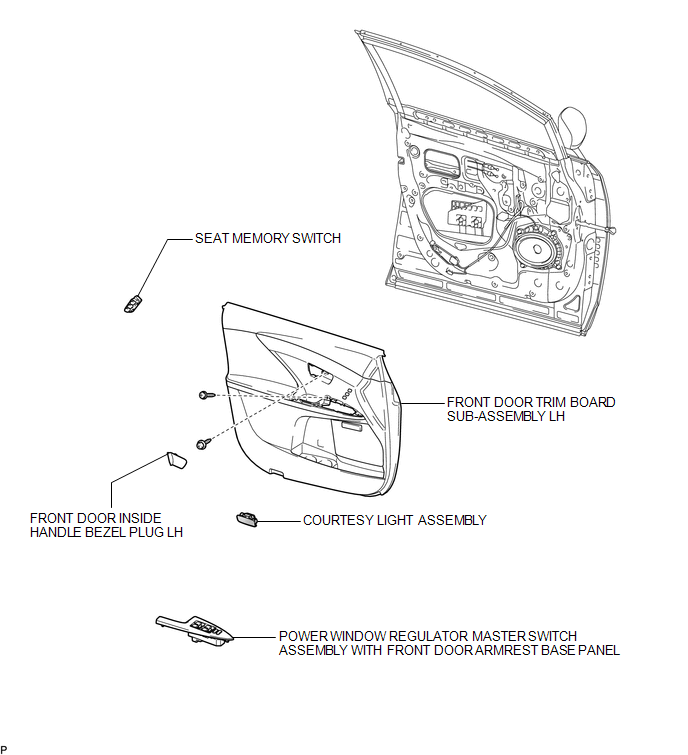 (a) Disengage the 4 claws and remove the seat memory switch from the front door trim board sub-assembly LH. 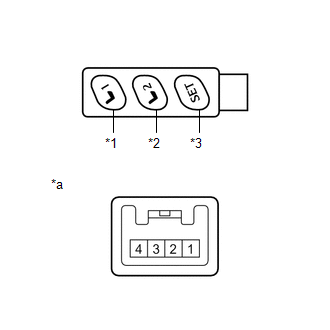 If the result is not as specified, replace the seat memory switch. 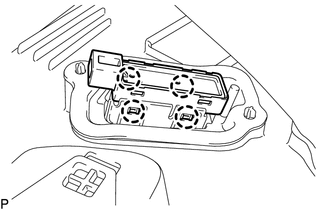 (a) Engage the 4 claws to install the seat memory switch to the front door trim board sub-assembly LH.